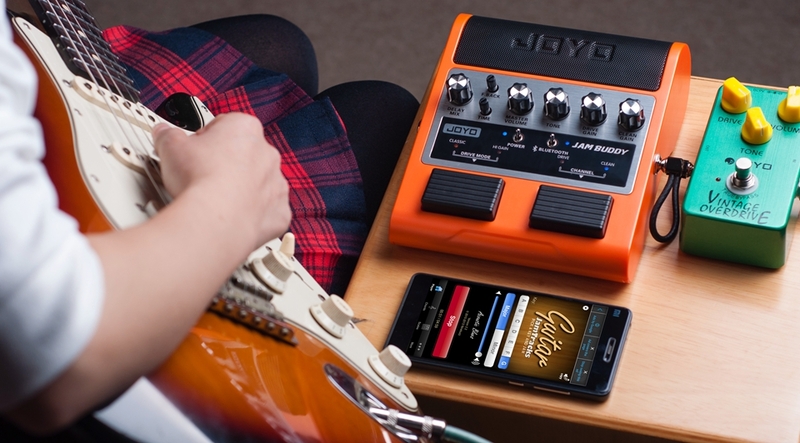 The JAMBUDDY Combining guitar playback with its reduced high frequency range due to the sound of 12 inch speakers and also full range normal music playback is a difficult task. Some products on the market have already dealt with this issue and they are nice practice boxes that are controlled by hand on a table top. But this is not how guitar players operate their gear, we need our hands free and we stick our gear with our feet. 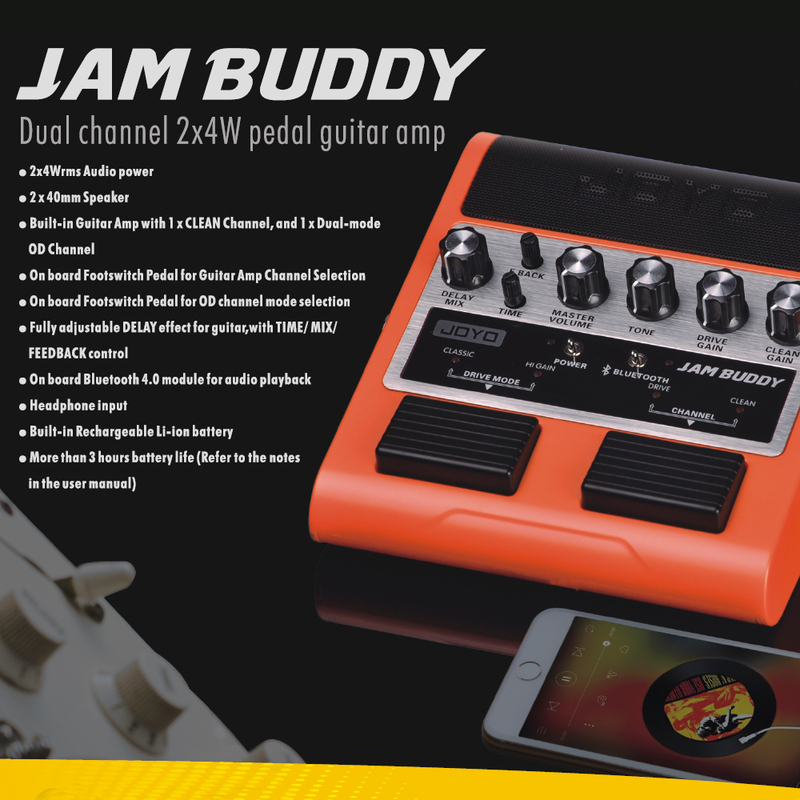 JAMBUDDY combines both aspects, it is a floor based dual channel amp simulator that can be switched with your feet and also accepts a BLUETOOTH signal to play back your favorite backing tracks and songs you want to jam along to. 3.Guitar¡¯s channel:?CLEAN Channel, OD Channel (CLASS and HIGAIN mode can be switched by pedal)?